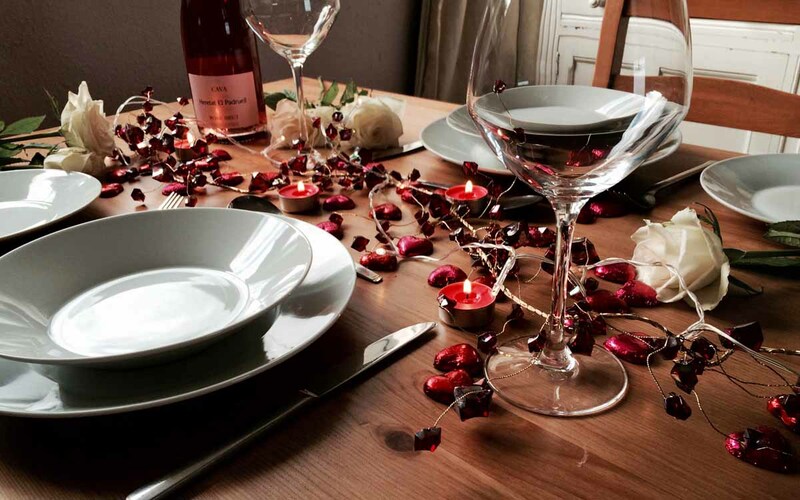 We were recently asked by Oak Furniture UK what our favourite way to dress a table for Valentine’s Day was. We’ve included this below along with some steps to enjoying your evening. Valentine’s Day come’s but once a year and with it comes the daunting task of what to do for the one you love. Should you opt for flowers or chocolates, perhaps some jewellery or a meal at your favourite restaurant, or maybe even a night away somewhere – decisions, decisions, decisions. While all of these can certainly earn you brownie points, we feel that’s there’s nothing quite like a homemade meal to celebrate Valentine’s Day. But where do you begin? When it comes to a meal of choice at home for Valentine’s Day there’s a few options at hand for any couple. Order in a takeaway and enjoy it in front of the fire while you cuddle up in front of the tele. Hit your nearest M&S and grab their Valentine’s Day meal deal for two. 3 courses and a bottle of bubbly for £20 – hard to beat! Get creative in the kitchen with your own 3 course meal with a chocolate dessert a must. 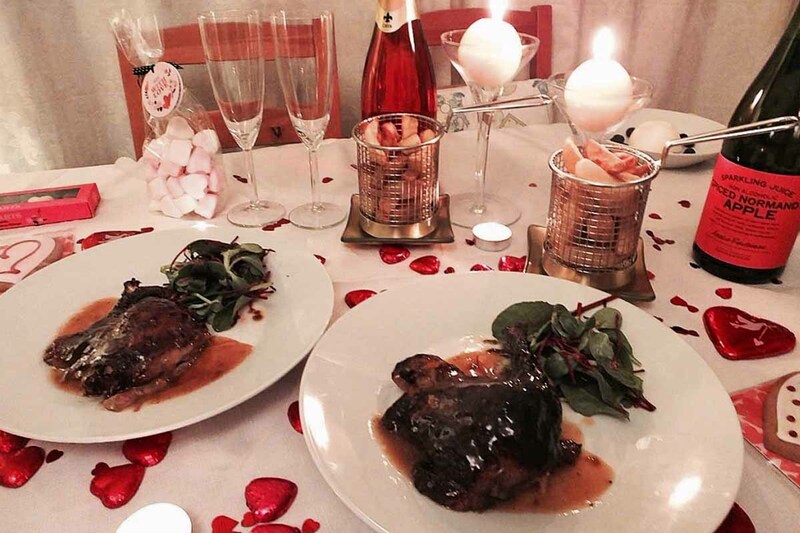 Ensuring you enjoy Valentine’s meal in together goes well can require a little planning. Take time to work out how your evening is going to play out. What time you’ll sit down for meal, who is doing the cooking, and after the food is served, well, just let the night go with the flow! There are certain times in the year when the centrepiece of what you’re eating revolves around the kitchen table and not the food. Christmas and Easter can be two such dates but Valentine’s Day is another. Dressing your table is all part of the experience for Valentine’s Day and we’ve got a little tip for you below. Cover your table with a white sheet and decorate with some jewels, heart-shaped chocolates and candles. Serve your food with champagne flutes and some bubbly for a classic look that is sure to be a winner. How will you be setting your table this Valentine’s Day? Let us know how you plan to dress your table this Valentine’s Day by commenting below or connecting with us on Facebook and Twitter.